← Curiosity update: Happy 2019, Earthlings! Get the scoop on the latest missions at Mars. 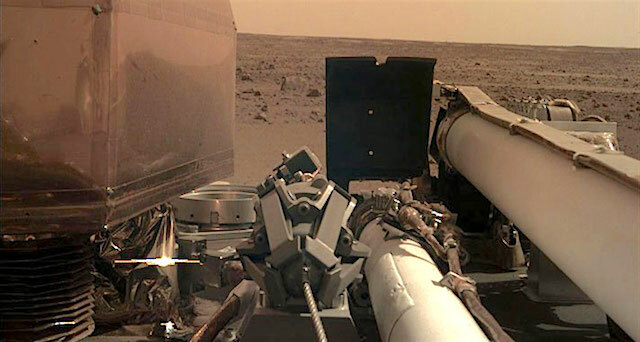 This lecture will bring you up to speed on all things Mars, including: The biggest dust storm in a decade, rolling (and drilling) on “Vera Rubin Ridge,” a new rover under construction, and a recent arrival on Mars preparing to get down to business. This entry was posted in Reports and tagged Aeolis Mons, Curiosity, Elysium Planitia, Gale Crater, global dust storms, InSight, Interior Exploration Using Seismic Investigations Geodesy and Heat Transport, Jet Propulsion Laboratory, JPL, Mars Science Laboratory, Mount Sharp, MSL, Murray Formation, NASA, Vera Rubin Ridge. Bookmark the permalink.